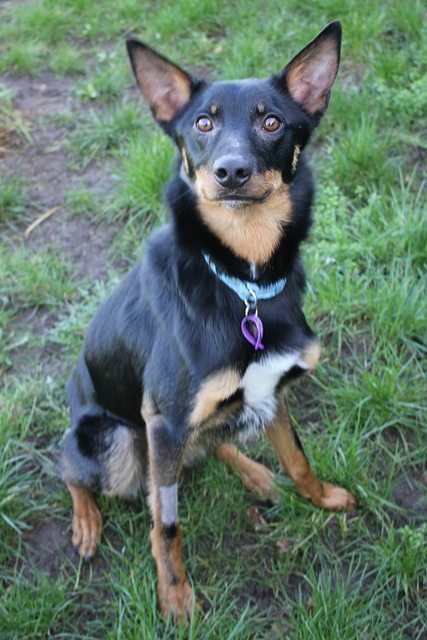 Simba is a 1 year old male Border Collie Cross. Stunning Simba came to us after his owner had signed him over to a veterinary practice as they were unable to afford his veterinary treatment. Simba was very poorly when he arrived at the vets, showing signs of severe malnutrition including anemia and an intestinal infection. He was completely emaciated when he arrived with us, weighing just 13.2kg. Simba is recovering well at the moment and is slowly starting to gain weight. He has not displayed any signs of illness whilst he has been with us but this is something that we will be monitoring closely. It is too early to say at this stage whether or not Simba will have any lasting medical issues as a result of his condition. He is currently being fed a veterinary prescribed diet of Royal Canin Gastro Intestinal tins and Hills i/d Digestive Care biscuits which he may need to stay on long term. Simba is a dainty, delicate, sweet boy who is absolutely full of fun and enthusiasm! He loves to make new friends and is a very lovable, affectionate dog. He likes to play with toys and is a quick learner. He can be shy and timid at times but he still has so much trust in people and just craves cuddles. As soon as Simba is back to a healthy weight he will need a very active home with someone who can provide him with all of the exercise and stimulation he needs. He does not appear to be used to walks and can be a bit of a handful, he will also chase cars. Ideally we would like to place Simba in a home experienced with Collies or similar high energy breeds. As he is so young he will also need a home with someone around for most/all of the day. Simba has previously lived with young children but as he is a very bouncy and lively boy we are looking for a home where any children are over the age of 12. He is sociable and playful around other dogs and has also lived with a cat. 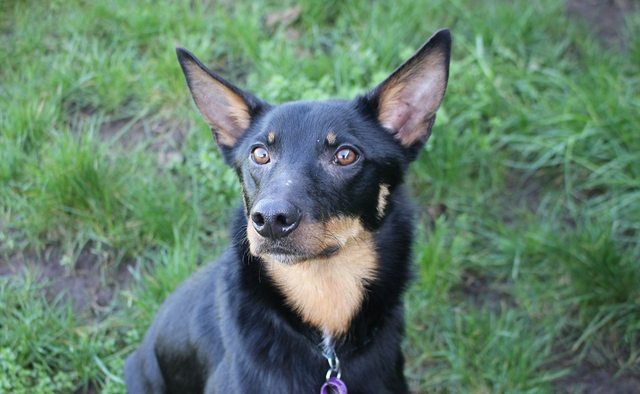 Overall Simba is such a fantastic boy who will make a brilliant addition to the family. He desperately deserves some TLC after everything he has been through.